Situated along Vancouver Island’s stunning west coast, the Pacific Rim National Park Reserve is one of Canada’s most cherished natural treasures, renowned for its lush temperate forests, dramatic coastal scenery and long sandy beaches. 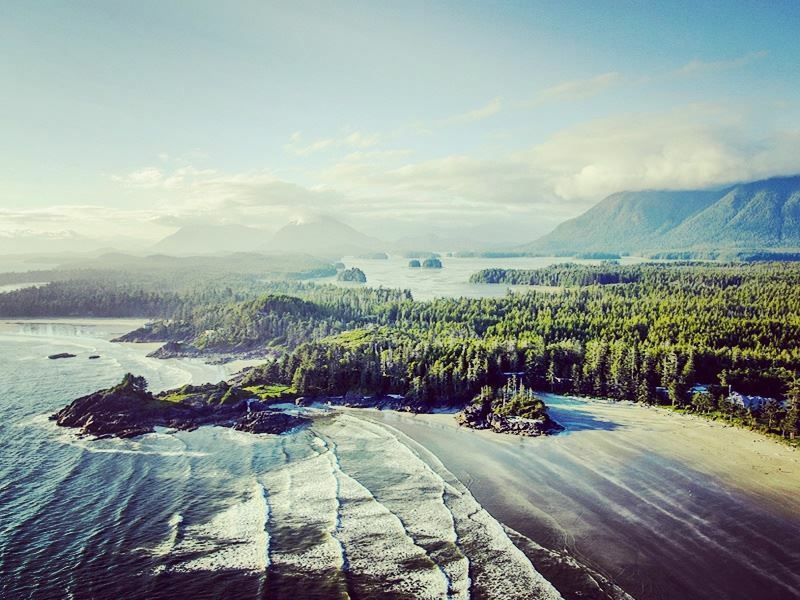 Established in 1970 as the country’s first and oldest national park reserve, it spans over 500 km2 stretching from Tofino in the north to Port Renfrow in the south. The reserve is separated into three distinct units - Long Beach, the Broken Group Islands and the West Coast Trail – all of which are bordered by mountains to the east and the Pacific Ocean to the west. The reserve embodies rugged, unspoilt West coast wilderness at its very best. It’s the ultimate natural playground and an outdoor lover’s dream come true, with a seemingly endless list of exciting activities and attractions to explore. 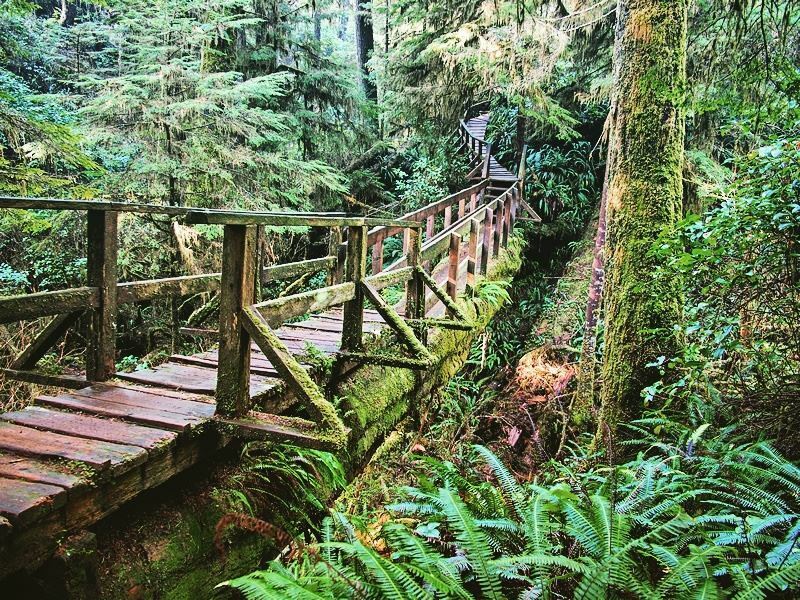 Hike for miles along the breath-taking coastline and through remarkable old-growth rainforest. Kayak in emerald waters among hundreds of tiny islands, sheltered passageways and hidden bays. Marvel at the diverse wildlife and witness the incredible sight of migrating whales. Brave some of Canada’s wildest surf, or stroll, paddle and relax to your heart’s content along expansive soft-sand beaches. With so much on offer, visitors often complain of having too little time to experience it all. To help you make the most of your visit to this unique and beautiful region, we’ve compiled a few of the very best highlights. This corner of Vancouver Island is a hiker’s paradise, home to an abundance of well-maintained trails that wind through an incredible diversity of landscapes, and with plenty of variety to suit all tastes and abilities. Most routes pass through the dense coastal rainforest that characterises the area, populated with countless ancient trees like Sitka spruce and Western hemlock. The forest is framed by the dramatic ocean shoreline to the west, where plenty of paths trace the clifftops and descend towards the area’s beautiful beaches. 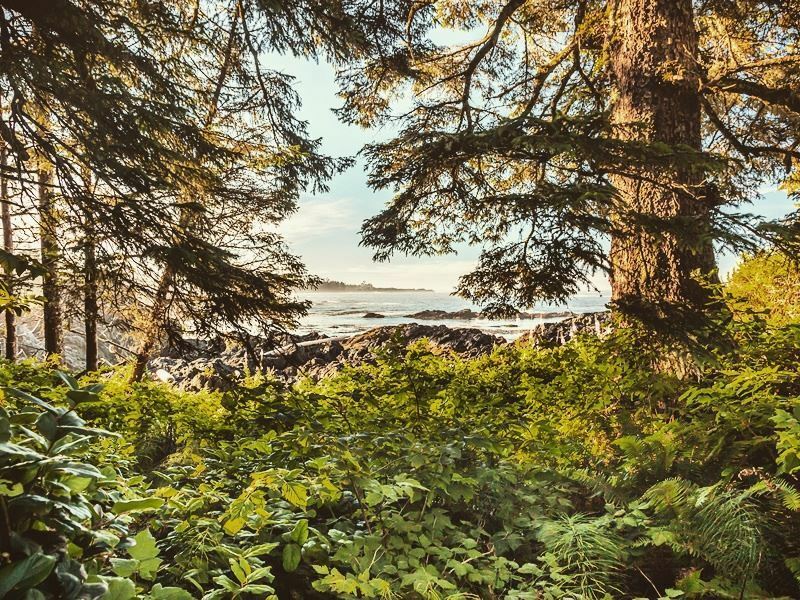 Schooner Cove Trail: Located a short drive south from Tofino, this easy 1-kilometre hike provides the perfect opportunity for those short on time to get a taste of the lush rainforest environment. Follow the boardwalk-style path and stairs through a forest filled with old-growth cedars, hemlock and Sitka spruce, then emerge onto a superb beach where there are plenty of sand dunes and tidal pools to explore. Combine this hike with a visit to the nearby Wickanninish Interpretive Centre to learn more about the reserve’s fascinating ecosystems and native culture. Rainforest Trail: Another easy but highly rewarding route just south of Long Beach, the Rainforest Trail is one of the most popular hikes in the Tofino-Ucluelet area. Follow wooden boardwalks through a dense mist-clad forest filled with moss-covered ancient trees, babbling brooks and abundant birdlife. South Beach Trail: Widely regarded as one of the most scenic routes in the entire park, this 1.6-kilometre hike offers a unique perspective on the spectacular coast with its rugged cliffs, crashing waves and endless ocean vistas. You’ll also traverse dense forest, Vancouver island’s most extensive sand dune complex and descend towards a picturesque beach where the ocean sprays dramatically over huge rock formations. 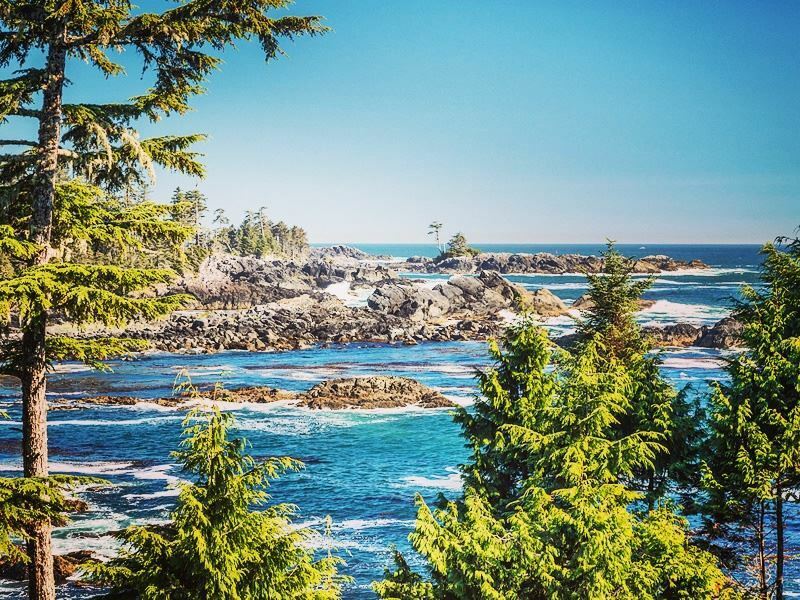 Wild Pacific Trail: This memorable route along the dramatic coastline of the Ucluelet peninsular has been named one of the top outdoor attractions in British Colombia. It stretches 8.6 kilometres, but the terrain is easy and there are plenty of worthwhile sights along the way, making it a great option for a family day trip. You’ll be met with stunning seascapes, shipwrecks and plenty of interactive displays, as well as a chance of spotting whales migrating offshore. West Coast Trail: High on the bucket list of many outdoors enthusiasts, this is a true once in a lifetime hike. The legendary week-long trail extends for 75 kilometres from Port Renfrew to Bamfield, passing old-growth coastal rainforest, sandstone cliffs, secluded beaches and narrow bridges suspended over gorges, rivers and waterfalls. Completing this trail requires plenty of advanced planning, backcountry experience and the ability to carry all your own supplies. The terrain can be tough in some places, but you’ll be rewarded with awe-inspiring views and an unmatchable sense of achievement. Centred around a 10-mile stretch of unspoilt beach backed by pristine coastal forest, Long Beach is the most popular unit in the national reserve, attracting more than a million visitors every year. Depending on the season, it’s the ideal location for a wealth of outdoor pursuits, from hiking through the lush forests and riding some of Canada’s best waves, to storm-watching in winter or simply admiring the endless vistas on a stroll along the beach in summer. This area of the park is the most easily accessible, with well-developed infrastructure and plenty of accommodation options in nearby Tofino. Green Point campground is also located here, offering campers the chance to sleep under the thick rainforest canopy. During your stay, be sure to explore the numerous trails running through the temperate forests, bogs, beaches and tidal pools, and if you’re feeling especially energetic run the 9.5-kilometre Long Beach Challenge Route past some of the area’s most memorable coastal features. With its large waves and laidback vibe, Long Beach is also popular with surfers, who have been swarming to the area since the 1960's. There are professional lessons to suit all levels available throughout the year, so don a wetsuit and dive into some of Canada’s wildest surf. Incinerator Rock is perhaps the most fabled spot, but with so many kilometres of expansive shoreline the options for surfing, along with stand-up paddle boarding and boogie boarding, are almost limitless. This part of the National Reserve, located directly to the east of Ucluelet, encompasses over a hundred small islands and islets in the spectacular Barkley Sound. Accessible only by boat, it’s a beautifully wild area home to secret bays, pristine forest, and perfect for a whole host of water-based activities such as boating, kayaking and fishing. Around the more sheltered inner islands, you can paddle in the clear waters amidst tidal pools, or explore the underwater world through snorkelling and diving. The whole region teems with marine life, including whales which migrate here seasonally. Every spring over 20,000 grey whales pass through the area on their journey towards the Arctic Ocean (an event celebrated in the park’s annual Whales Festival), and in early autumn other species like orca and humpbacks are common sights. There are also plenty of boat and float plane tours which can be organised in Ucluelet that provide an unbeatable way to sample the best of the islands for those on a tight schedule. Above all, the Broken Islands are a big draw for kayakers. In fact, its tranquil bays, protected waterways and alluring islands have established it as one of the world’s premier sea kayaking destinations. Paddle along endless stretches of wild coastline, narrow channels and impressive headlands, then come ashore to explore remote white sand beaches and lush old-growth rainforest. The Pacific Rim has plenty to offer visitors whatever the season. Whilst summers are perfect for hiking, surfing and kayaking, these activities can also be done year-round. In fact, some rate the winter as the area’s most exhilarating season. From late October on, storm-watchers flock to the area, eager to witness the spectacular effects of gale-force winds and massive waves blasting against the coastline. Long Beach is the most popular of the park’s units, and requires your own transport to access via the superb drive along Highway 4, ending at Tofino in the north. The Broken Group Islands are accessible by water only and will require some advanced planning to organise a trip, especially if you plan on kayaking and camping. Ucluelet is accessible via car, and there are also several bus and boat connections per day. 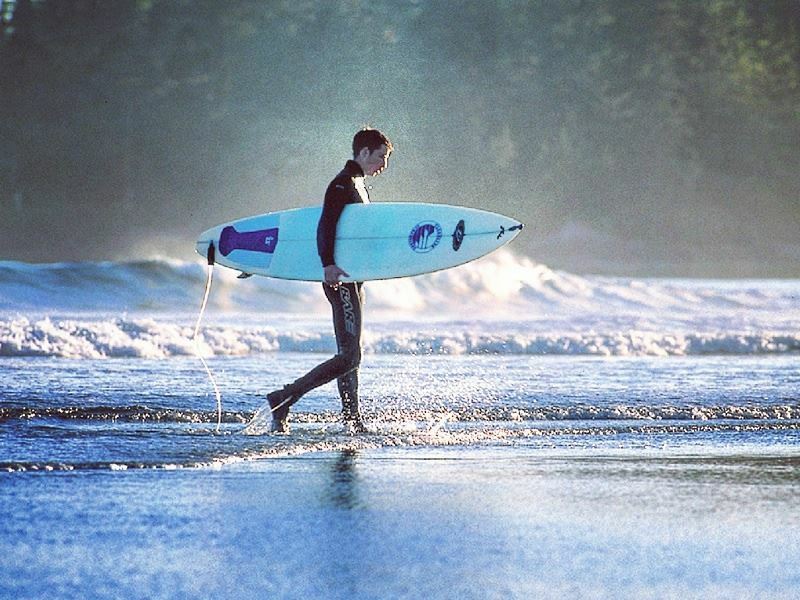 Most visitors base themselves in the towns of Tofino or Ucluelet which both have easy access to all the main sights. 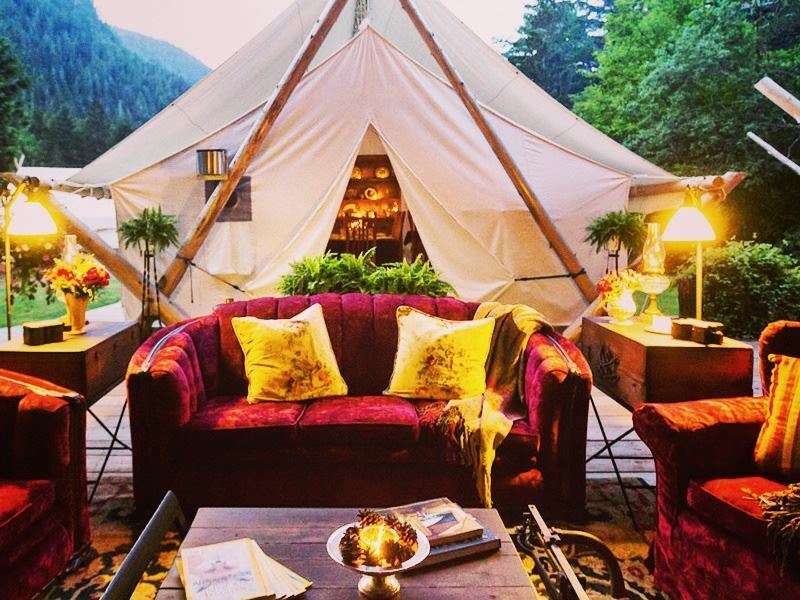 In Tofino, you’re situated in the midst of the stunning Clayoquot Sound and a stone’s throw from Long Beach. In the town itself, expect to find a wide range of accommodation to suit all budgets and tastes, from upscale resorts to cosy bed and breakfasts. There’s also a botanical garden, nearby hot springs, and plenty of interesting shops, art galleries and restaurants to explore. Ucluelet is a little smaller and more tranquil, and makes a great base for those wanting to launch a trip into the nearby Barkley Sound. The town boasts a popular aquarium, along with a good selection of eateries, lodgings and adventure tour offerings. Home to some of the country’s most dramatic and pristine coastline, forests and beaches, the Pacific Rim National Park Reserve is a must-see for those eager to discover the very best of the outdoors on Canada’s West coast.